The culinary world recently lost one of its most important voices. 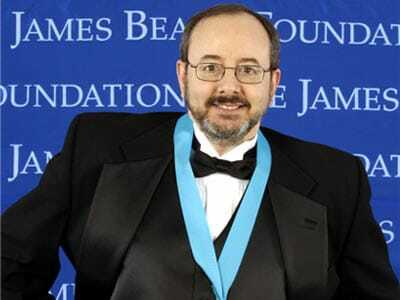 Gil Marks, James Beard award-winning author and my dear friend, passed away a few weeks ago after a long battle with cancer. Gil wrote the American Cakes column on my website; many of you have enjoyed his work and his recipes over the years. The news of Gil’s passing came to me when I was traveling the east coast on business. It was not a shock; Gil had always been upfront about his illness, and his close friends knew he was in the end stages. And yet, it had only been a couple weeks since Gil and I had talked with each other. It felt so strange and terribly sad knowing that we’d never email or chat again. Many times over the past few weeks I’ve sat down to write a post, a tribute to Gil’s life, but it has proven difficult. I always feel like I come up short. How do I pay homage to one of my greatest mentors, somebody who has influenced my work in countless ways? How do I make sense of his death, come far too soon, when he still had so much to give? How do I honor a friend who so generously shared his time, work and wisdom with me? I won’t go into Gil’s many accomplishments here. The New York Times, The Jerusalem Post and various other publications have done a wonderful job of celebrating Gil’s life and work. Hillel Kuttler wrote a wonderful piece for the JTA and Eva Weiss shared a touching tribute with The Jewish Week. There isn’t much more I can say about his career that hasn’t already been said– Gil’s publications are considered classics, his contribution to culinary history is immeasurable. Instead, I’d like to share a bit about how two people from very different backgrounds managed to strike up a friendship on this strange and winding road of life. Gil knew more about culinary history than anybody I’ve ever met. 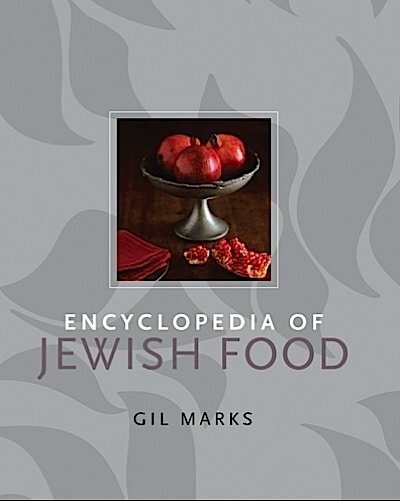 I first learned of Gil’s work when a friend recommended his incredible Encyclopedia of Jewish Food, which quickly became my most trusted source for Jewish culinary history. It’s a treasure trove of well-researched material, meticulously sourced with the bonus of well-tested recipes. Not long after I bought Olive Trees and Honey, the vegetarian cookbook for which Gil won a coveted James Beard Award. By that point I was an official fan of Gil’s work. I read his books like novels, indulging in the years and years of research he’d so carefully sifted through. It’s a funny thing, food history. This little corner of the culinary world is populated by friendly, sometimes quirky, often nerdy folks who are drawn to the mysterious origins of our food like bees to honey. From the moment I was introduced to Gil’s work I knew he was a kindred spirit. We shared a somewhat odd, unique desire to understand the roots of what we eat. That unlikely interest turned into a lasting friendship. We began corresponding when I interviewed him for my website in 2012. Gil was eager to share his work and his knowledge. He ended up teaching me invaluable lessons about culinary research and tracking down rare recipe sources. He began to read my site regularly and was pleased whenever I cited him as a source. 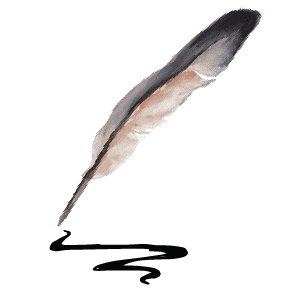 Sometimes, when I’d write about a particular dish (funnel cakes come to mind), he’d shoot me an email with several pages of research that he had done on the subject. I am convinced he knew more about the origins of our food than anybody I’ve met. He was certainly one of a kind. 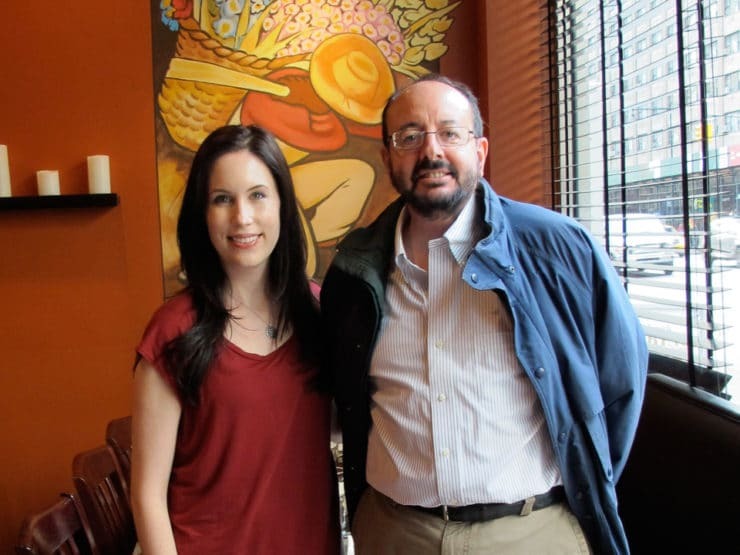 Gil and I corresponded quite a bit before we finally met in New York back in 2013; he kindly accepted my invitation to grab lunch and talk food history. We hit it off immediately. Rarely do I encounter someone who will indulge my inner book nerd, discussing everything from the roots of Jewish food to antique American cookbooks to the symbolism of Biblical fruits. We could talk about food for hours on end, feeling like no time had passed at all. Gil had so much information to share, and he was very generous in sharing it. Not long after we met Gil sent me a complete set of his Kosher Gourmet Magazine, a print monthly he edited back in the 80’s. “You might find them useful,” he said. Not only did Gil edit the magazine, he wrote most of the articles and nearly all of the recipes. Each issue also includes some Jewish food history (naturally). It was a massive undertaking at a time when kosher was a small, largely unrecognized commercial audience. Launching a kosher magazine at that time took major chutzpah. Gil managed to keep it up for years with fresh recipe content each month. It was his magazine, and my great respect for Gil’s work, that sparked the idea of a recurring monthly column on my website. I was delighted when he agreed to write about the history of American Cakes for The History Kitchen. He was working on a new cookbook and eager to share his new research with a wider audience. 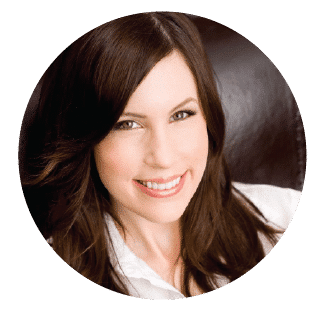 It turned out to be one of the most popular features on my site. Readers loved hearing Gil’s detailed histories on the cakes we’ve all grown up with. Even today comments continue to come in on older American Cakes posts, sharing family cooking memories and celebrating these home-baked treats. Gil loved reading through all the responses each month; it really made him happy to know that his research was out there, that people were learning from him and enjoying his recipes. I have two more cake posts that Gil wrote which I will publish over the next two months. Gil finished his American Cakes cookbook manuscript before he passed away, and I am very hopeful it will find a publisher– apparently several are interested at this point. I know many people would love to have this important work on their cookbook shelves. I’m in touch with Gil’s family as well as his agent, and have offered to help however I can. I’ll keep you all posted as the project progresses. Did you read Gil’s columns or his cookbooks? I’m sure his family would love to hear from you. Please leave a comment below and I will be sure to pass it along to them. If you were one of the many who enjoyed Gil’s work, I hope that you’ll make a recipe in his honor this week… a dish from one of his cookbooks, or maybe an American Cake from his column here on the site. He would have loved that. “How to Fry Eggplant with Less Oil” led me to this site. I have been serious about cooking since my childhood. I was lucky enough to grow up in a family that was just as diverse as my home country. Vienna used to be a magnet for the best chefs within the Austro-Hungarian Empire, but my interests have grown more toward Asian, Chinese and Middle-Eastern Cuisines. Despite all this, I have never paid much attention to the root of dishes (history yes, but not so much the root). Thank you for the tribute to Gil and keeping his inspirational words alive. I feel this may well have opened the door to a new aspect of my passion. I am sorry for the loss of your friend Tori. Thank you for this post. I knew Gil since 1983, I think. He lived in an apartment complex in Philadelphia that was half rented by young Orthodox couples and singles, most of which were in one of the area colleges. Gil, I believe was studying for his degree in social work at the time. We all spent time together over meals and holidays. Once Gil began to establish himself in the world of Jewish food, I, of course followed his work avidly – after all (still, incredible to me) he ate at my home many, many time – I cooked for HIM! It was always special to see Gil at the Kosher Food Show or other venues. I was stunned when he began posting about his travels and experiences through his illness. That also put me in a state of disbelief. He was so honest, so upfront, so giving with information in case it could help someone else out…. A trite phrase, but he was “a class act”, truly someone you could connect with one on one, always gracious. It is such a loss to his family, and to those who realize how important food is to our personal and group identity. Your words were so fitting, Tori Avey. Gil was a true mensch and a culinary genius. His incredible work will continue to inspire people for many years to come. I hope his book, American Cakes, will find a publisher…his last legacy. I heard of Gil Marks from various magazines he contributed to but didn’t get a look through his books until I read this lovely tribute a few weeks ago. I borrowed two of his books from my local library and made a few recipes. They are delicious. The information is so fascinating. Gil Marks certainly had treasures of knowledge. 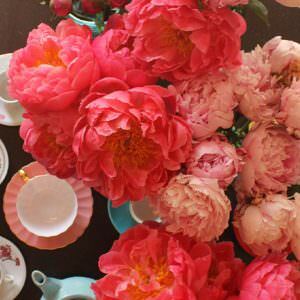 Thanks for your lovely blog. 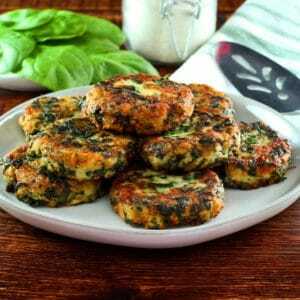 I have made and loved lots of your gorgeous recipes. What a wonderful tribute you have penned! I am so sorry for your personal loss, that of his family and the loss to the greater food community… goodness, what a loss! Thankfully he left a lot of wonderful work with us, so people may continue to benefit and to know him, even though he has passed into the Great Mystery. Thank you for your tribute to him. I have enjoyed Gil Mark’s A”h books because if his vast knowledge and his down to earth way if imparting that knowledge. He was a true scholar. “Olive Trees and Honey” is a treasure of a cookbook. I did not know until now that Gil Marks had died–thank you for sharing your appreciation of his life and work. You have given him a lovely tribute. Thank you. I am sorry for your loss. My husband, Ari, who also passed away after battling cancer, and I, enjoyed a meal with Gil Marks. We especially appreciated his knowledge of food as it was related in the Torah. He will surely be missed by many. May you be comforted along with the mourners of Zion and Jerusalem. Condolences on the loss of your friend Tori, and a nice tribute to him. 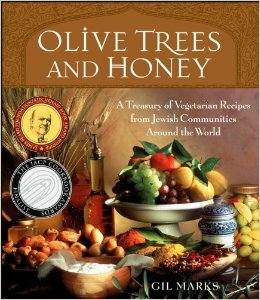 I love his Encyclopedia of Jewish Food, and have given Olive Trees and Honey as gifts to grateful people. Tori: Very nice article. I am sure that Gil z”l would be proud of you. Thanks for linking to my article and for the nice comment. Tamara Hansen Reese: My second son is also named Gil! May he give you strength each day. I’m sure its hard for you. Its like a knife in the heart every time I remember those I loved that are no longer here. I shed a tear, and inevitably, the light shines in me to help me carry on. May his light shine in you, so that you may continue the passion you both shared for food with us. sorry for your loss. May his memory be a blessing and a comfort to you. Thank you for this post and my sincere condolences. So sorry for your loss. His work will live on – a very lovely legacy. sorry to hear this!!!! thanks for sharing!!!! Tori Avey I remember asking for advice on your favorite Jewish cookbook and you recommended Encyclopedia of Jewish Food to me. It struck me as bashert because my second born son is also named Gil. There is a Hebrew folk saying, “Like his name, so is he,” implies that a person’s name can illustrate his character. Gil meaning: to be a happy man who walks in the presence of God. It seems Gil Marks most certainly lived that name. May his memory be for a blessing. My condolences, Tori (and the food world at large). ‘Olive Trees’ is one of my favorite cookbooks, as well as an invaluable resource.